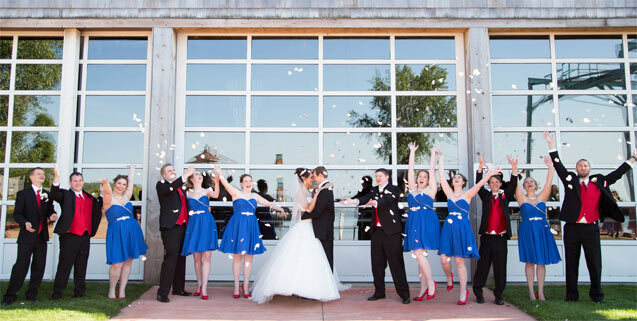 Overlooking the water, Compass Point is designed for large wedding receptions, conferences, trade shows and social gatherings, while offering a magnificent panoramic view of the Sandusky Bay overlooking Cedar Point. Our boardwalk is adorned with lights, as is our signature Lyman Harbor Lighthouse. You can reserve a boat dock in front of this room for a quick getaway after your event or just stay the night and listen as the shores of Lake Erie gently rock you to sleep. Large doors with huge windows accommodate the indoor/outdoor feel. There is a large outdoor patio with some seating where your guests can enjoy their favorite beverage, or sit by the fire pit and watch the flicker of the tiki torches along the shore. 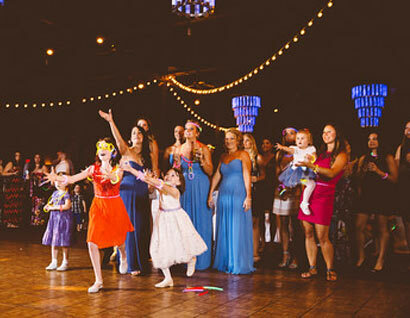 Unique hanging lights can be set to any color that your wedding may be, automatically change colors during the dance portion of your event or can just be white. The very tall ceilings in this room give an open feel and have white dangling lights hanging from the beams which give an enchanting feel to any event. 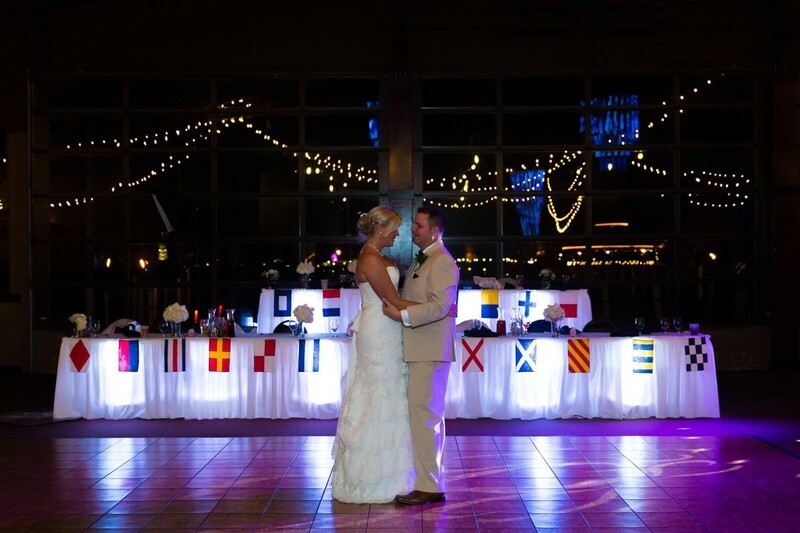 Rooms Include: Guest tables, ancillary tables w/ skirting, chairs, dance floor, white linens & napkins, dishware, glassware & silverware, set up/tear down of these items. All rooms are handicapped accessible.